I never really understood the purpose behind a serum until I started to become more interested in skincare, and began doing research into different types of serums for a variety of skin types and concerns. Many people think that a serum is a fancy or glorified moisturiser, however a serum is something that targets a specific skin concern and generally contains active ingredients that penetrate the skin to address the concern. Picking the correct serum can help you tackle your skin issues and can be focused around anything from anti-aging to dullness, dryness or acne. In today's post, I am explaining the benefits of using a serum and including my favourite serums for a variety of skin concerns to give you an idea of how they can be used! Serums are a thinner consistency than a moisturiser and should be applied on clean, dry skin and applied before your usual cream. They differ from your moisturiser because they don't make room for traditional emollients or thickeners which are the ingredients that create a lotion or cream texture. They are formulated to pack in a large amount of beneficial ingredients containing vitamins, antioxidants and other potent ingredients that are effective to target specific skin concerns. Serums contain smaller molecules that penetrate deep into the skin, often targeting issues below the skin's surface. Only a pea sized amount is needed, and it is best to wait a few minutes to allow the product to sink in before applying a moisturiser over the top. I don't think it's ever too early to start using serums that contain anti-aging ingredients, as well as other ingredients that can address your current skin issues. If you find you don't really have any specific skin concerns, the "all rounders" are probably most suitable for you as you read below! 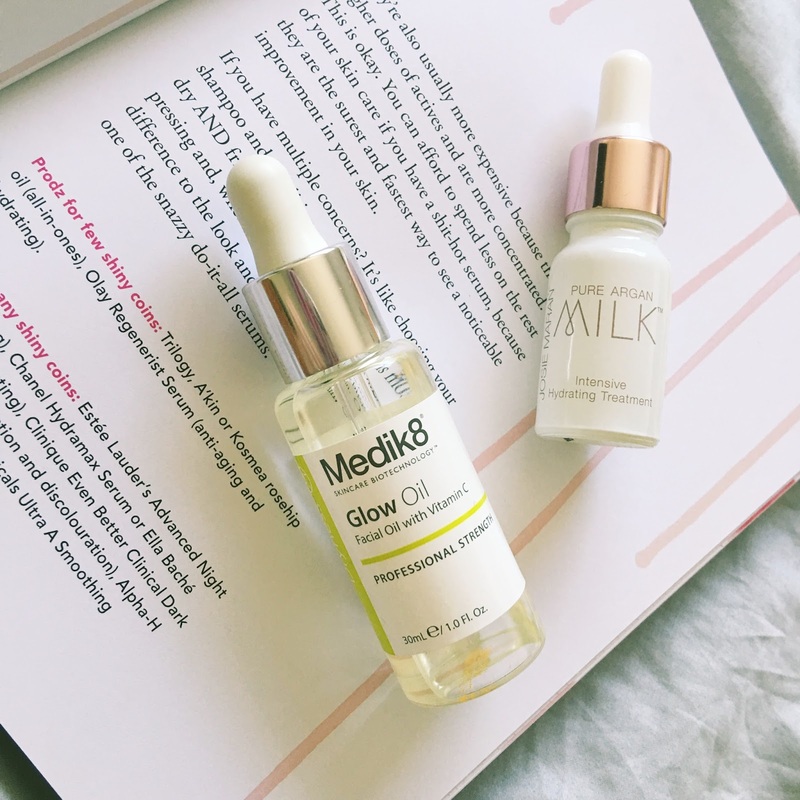 Medik8 Glow Oil* is an amazing facial oil that contains a powerful antioxidant, vitamin C to hydrate and repair the skin. It also contains a blend of 12 essential oils to add a youthful glow and radiant texture to the skin. This serum is suitable for all skin types and is also made from 98.5% natural ingredients. This is great to use if your skin needs an additional boost of moisture, more powerful than a regular night time or evening cream. Josie Maran Pure Argan Milk Treatment is a moisture milk infused with 100% argan oil which is extremely moisturising and beneficial for the skin. This serum nourishes and hydrates the skin to create a more luminous glow. This is suitable for all skin types including sensitive skin types. This serum strengthens the skin's natural barrier and protects against free-radical damage. I find this is best applied in the evening to wake up with plump, hydrated skin. 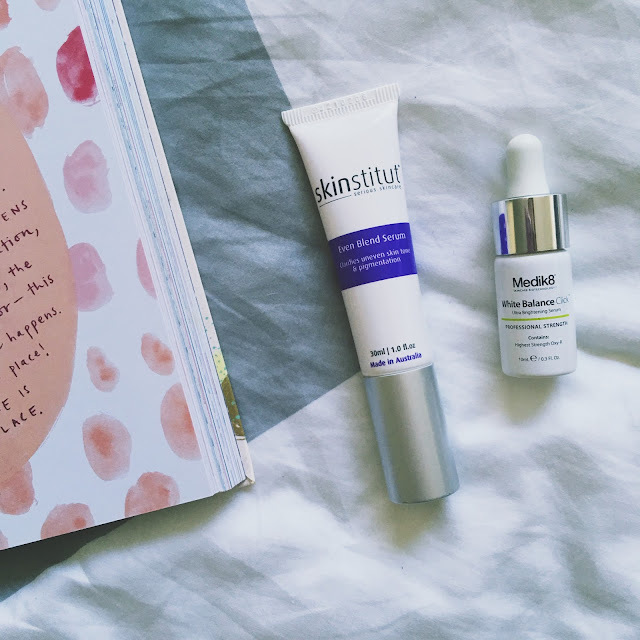 Skinstitut Even Blend Serum* is my go-to serum for targeting my acne scarring, redness, blotchiness and pigmentation. This is a medium intensity corrector that works to clarify uneven skin tone and pigmentation by using glycolic acid, daisy flower, wakamine & lotus extracts. It works by exfoliating the skin to eventually reveal a more refined and even skin texture. This serum can address age spots, skin discoloration, and brightens uneven skin tone resulting in a more radiant complexion. Medik8 White Balance Click* is a new development from the Medik8 anti-pigmentation research program and contains an array of several proven ingredients in a very carefully researched formula. This serum contains Kojic Acid in its maximum permitted percentage which is a powderful ingredient that can assist to balance skin tone and fade dark spots and freckles caused by sun exposure and aging. The Kojic Acid is stored in a special chamber inside the product lid, which is released into the serum when you click the lid to activate the serum. This serum also contains niacinamide, l-lactic acid, and linoleic acid, all which work together to improve the skin's overall tone and texture. 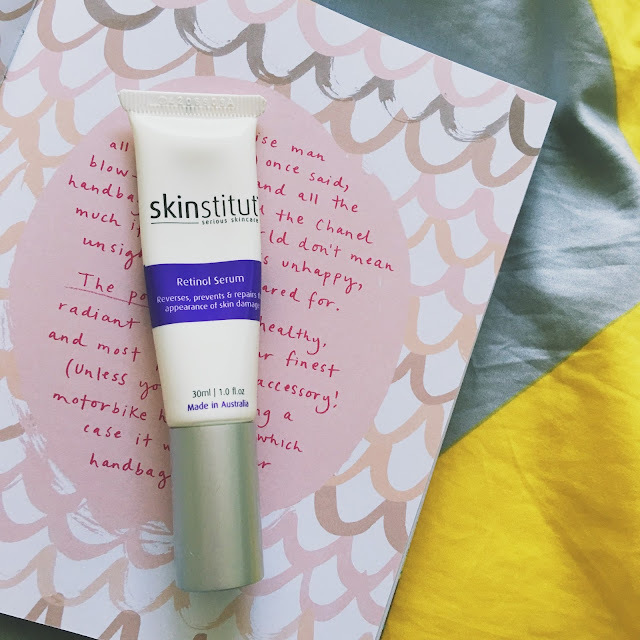 Skinstitut Retinol Serum* is a great serum to use if you're struggling with breakouts and congestion. This serum is a high intensity corrector that contains a high percentage of vitamin a to promote skin cell renewal, by increasing collagen and elastin production. This works well to reduce active breakouts and assists them to heal more quickly. This serum is best suited for aged, pigmented and breakout prone skin types. Delicious Skin Supple Silk Serum* is a great holistic serum that contains active ingredients of argan oil and rosehip oil to moisturise, heal and provide skin with vital antioxidants. It also contains essential oils such as tea tree, peppermint, lavender and chamomile to calm redness, reduce irritation, help balance oil production and provide anti bacterial properties. Goodness Certified Organic Chia Seed Oil* provides an awesome boost of moisture and goodness for your skin through the inclusion of essential fatty acids, minerals, B-vitamins, amino acids and antioxidants which will make your skin very happy. I like to apply this in the evening before bed and let it soak into my skin over night. ECO Vitamin C Serum* is a very affordable, yet powerful vitamin C serum that contains natural anti-aging ingredients to revitalise the skin. The formula includes rosehip, milk thistle, and sea-buckthorn to help reduce pigmentation and redness while boosting skin's elasticity, hydration, and increasing cell renewal. 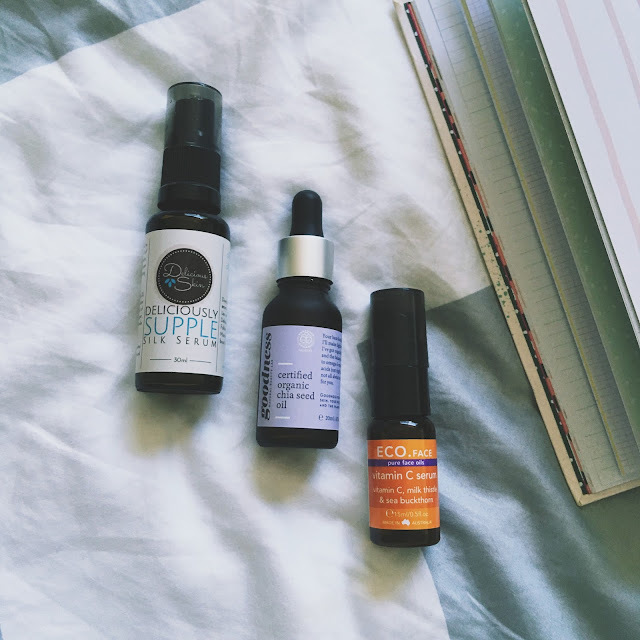 This serum really does cover all of your bases and is a great choice for any serum newbie, given all of its beneficial properties. This can be used morning or evening. 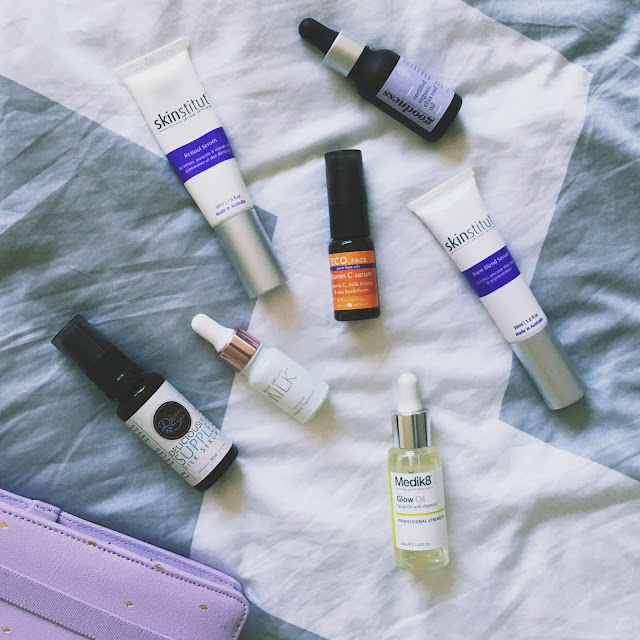 Hopefully, this post has given you some ideas about at least one serum that might best suit your skin concerns! 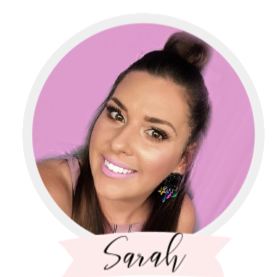 I really do believe that serums have made the biggest difference to my skin when adding them into my regular routine, and they can often be used in conjunction with one another to address multiple concerns, or you can use different serums on alternative days. 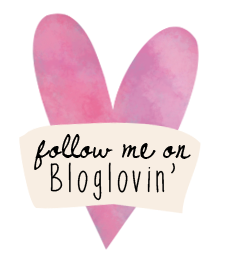 I hope you have found all of this information useful! What is your favourite serum to use? Do you think they make a difference to your skin?